Do you ever find yourself wondering exactly how full your water tank is? With this project from Boris Landoni you can create your very own water tank level sensor using Arduino. This is a perfect addition to a smart home, allowing you to track tank level trends, and even potentially automatically switch between tank water and mains water if your tank runs dry. 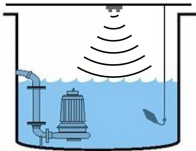 An ultrasonic distance sensor is used to determine how far the water is from the top of the tank, and uses this to calculate the current water level. The output output is displayed on an LCD screen so that you can easily see how full your tank is! Although not specifically detailed in the project, it wouldn’t be hard to feed the water level data into an existing home automation system. The possibilities for a project such as this are really limited to your imagination! To get started on this project check out the following link. Subscribe to SuperHouse Automation on YouTube to learn more about creating internet of things devices! Do you think this is a useful project? The team at SuperHouse Automation would love to know! Let us know in the comments section below or on Facebook and Twitter.